At Lighting by Hammerworks, we proudly handcraft Colonial Hanging Lights in America. First and foremost, since 1979 customers have come to expect attention to detail and historical accuracy throughout our handmade lighting. Our handcrafted Colonial Hanging Lights are no exception. 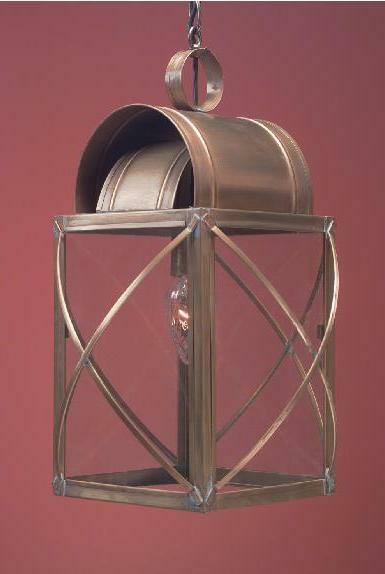 As always, we make each rustic style hanging lantern out of solid copper or solid brass. Furthermore, we offer custom Finish Options of painted black and verdigris upon request. 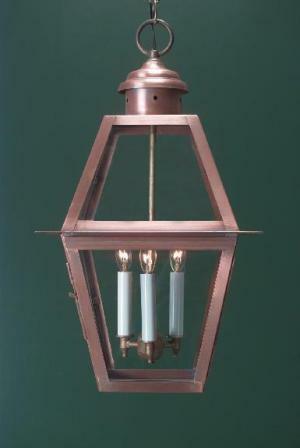 Also, we supply each Hanging Copper Colonial Lantern with 2 feet of matching chain and a ceiling plate. If you need additional chain, you can order more for a minimal charge. In addition, you can choose from a standard medium base single down light or upgrade to a 2, 3 or 4 light candle cluster. 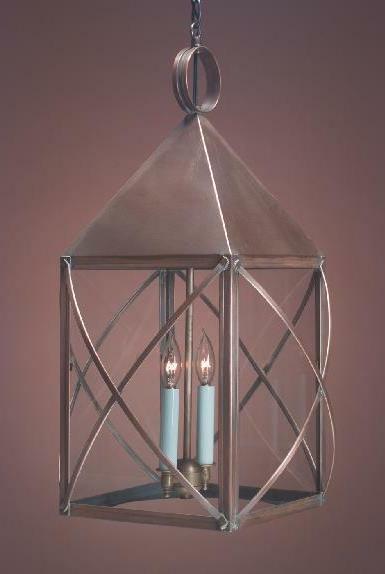 Finally, Colonial Hanging Lanterns range in style from rustic & primitive to traditional. As a result, with such a variety available, we offer a design that is perfect for your home. Because each of our Colonial Hanging Lanterns coordinate with matching post & Colonial Wall Lanterns, you can easily create a uniform look. 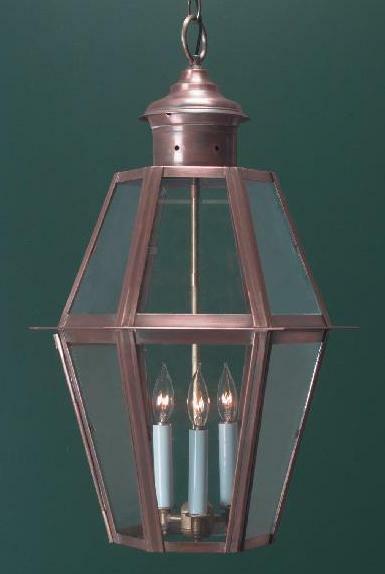 Not only do we offer a complete line of Colonial Post Lanterns, wall & hanging lights, our styles don’t stop there. 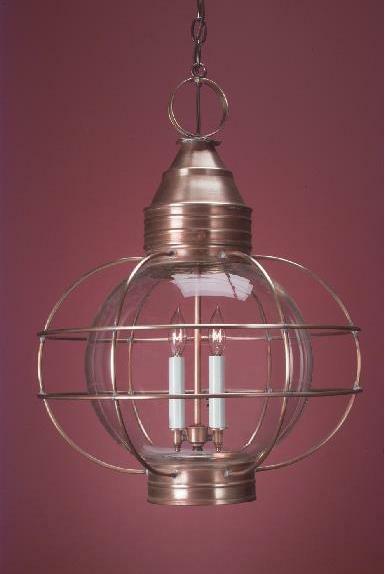 Furthermore, in addition to primitive & traditional reproduction hanging lanterns, we make Copper Hanging Onion Lights. We also create a complete collection of handcrafted Craftsman Style fixtures. This includes matching hanging, wall and post mount fixtures. In addition, our handcrafted hanging light collections extend to the exceptional quality Olde English Tudor Lighting. Therefore, no matter what architectural style home you own, from Colonial to Craftsman or English Tudor, we create a lighting collection for you. While Colonial Hanging Lights are primarily used on the exterior of your home, they are appropriate for many interior areas as well. 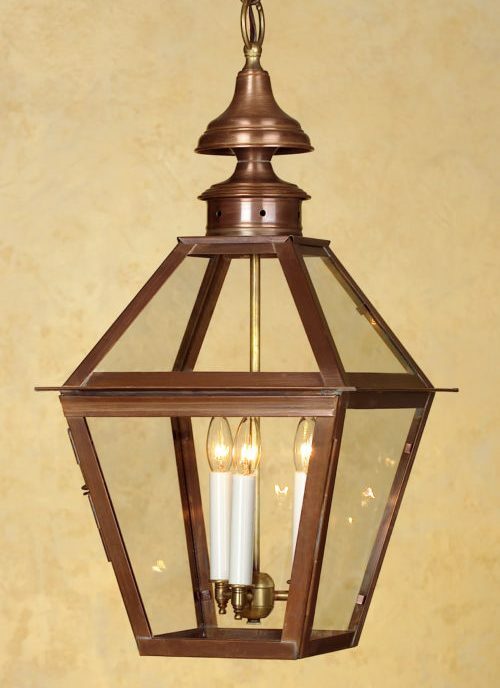 First of all, many customers choose to place a Colonial Pendant Light in the front entry or hallway. 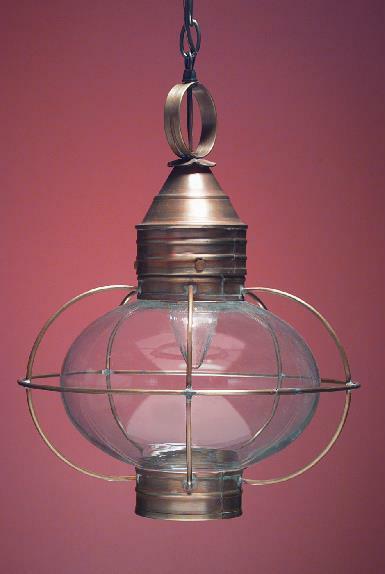 An ideal choice for this type of application is the Colonial Style Hanging Lantern “Coach” H105, or perhaps a Copper Hanging Onion Lantern. Not only that, they present an attractive alternative as kitchen pendant lights. Simply group together two or three of them over a kitchen counter or island. Or, as an alternative to a chandelier, hang a pendant fixture in the family room or dining room. Certainly, with so many sizes and styles to choose from, you can integrate Colonial Hanging Lights throughout a kitchen, dining, great room area. Of course, if you prefer to mix and match your lighting we offer several options. Consequently, you can choose one of our many Antique Colonial Wooden Chandeliers or flush mounted Colonial Ceiling Lights to coordinate with hanging lanterns. Above all, we offer a solution to any area in your home that requires overhead lighting. 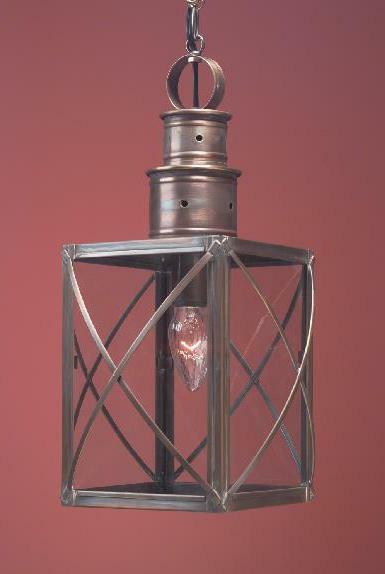 As mentioned above, in addition to Colonial styles we offer a complete line of Arts & Crafts Lighting. Of course each Arts & Crafts Hanging Light is handcrafted of solid copper or brass with a variety of finish & glass options available. Furthermore, Arts & Crafts Style Hanging Lights coordinate with matching Craftsman style post & wall lights to complete your design scheme. As usual, we supply 2 feet of matching chain and a ceiling canopy for these period reproduction hanging lights. In addition, each custom handcrafted hanging Craftsman light fixture is equipped with a single medium base socket, rated for up to 100 watts of illumination. If you are looking for exceptional quality and exquisite design, look no further than our Olde English Hanging Lights. Also known as Manor or Tudor Style Lighting, our collection includes coordinating hanging light fixtures, post tops and wall lanterns. In addition, we offer several unique chandeliers and wall sconces. Most importantly, this impressive lighting is handcrafted in solid copper. Of course, our meticulous attention to detail and historical accuracy is evident throughout. From a large English Manor Estate to a Tudor Style home and beyond, Hammerworks Olde English Lighting is the right choice. Similarly, we offer a collection of handcrafted antique reproduction Colonial Tin Chandeliers. 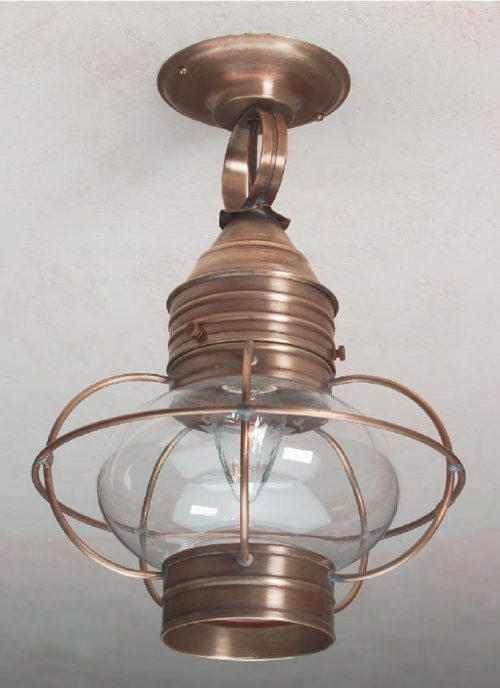 Most importantly, each primitive style chandelier is created using only high quality solid antique tin & brass. Likewise, just as with our Colonial Hanging Lights, we make each chandelier using the same time honored methods as the original craftsmen. For a rustic appearance, Colonial Pierced Tin Chandeliers are another great choice. Most noteworthy, as with all Hammerworks Lighting Products, we apply the punched design by hand. The result is a unique & charming reflection of the piercing on the ceiling. In addition, we make rustic Colonial Pierced Tin Chandeliers & pendant lights in a choice of antique tin or brass finish. You can also choose with a variety of arm configurations. Additionally, there is a “down light” in the center cone for added illumination. Furthermore, we make the primitive Colonial Punched Tin Witch’s Hat Chandeliers with or without the punched design. Finally, for a complete look, we offer punched design Colonial Ceiling Lights, which coordinate nicely with the Colonial Pierced Tin Chandeliers collection.